At the Everything Wendy Vecchi Yahoo Group, there was a challenge for making a Wendified (yes, that's a word) ATC. I created mine for my bestie Paula who is about to go on a creative trip with me. She never reads my blog, much to my chagrin, so it's okay that I show it before she gets it. 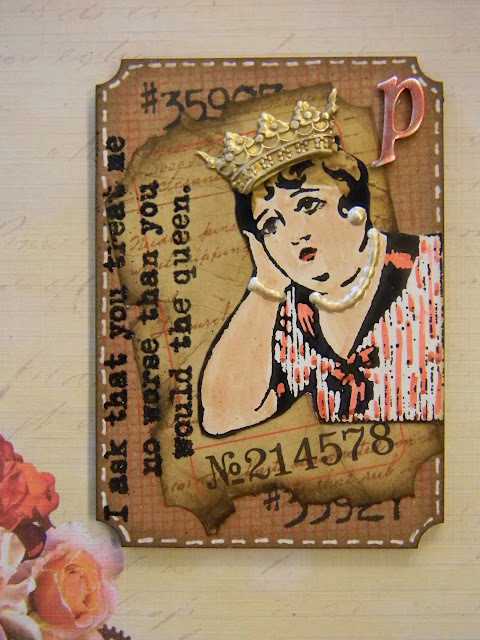 As it happens, Hels Sheridan's Sunday Stamper challenge this week is "queens & crowns", and The Stamp Man Challenge is "card for a queen" so this was perfect! 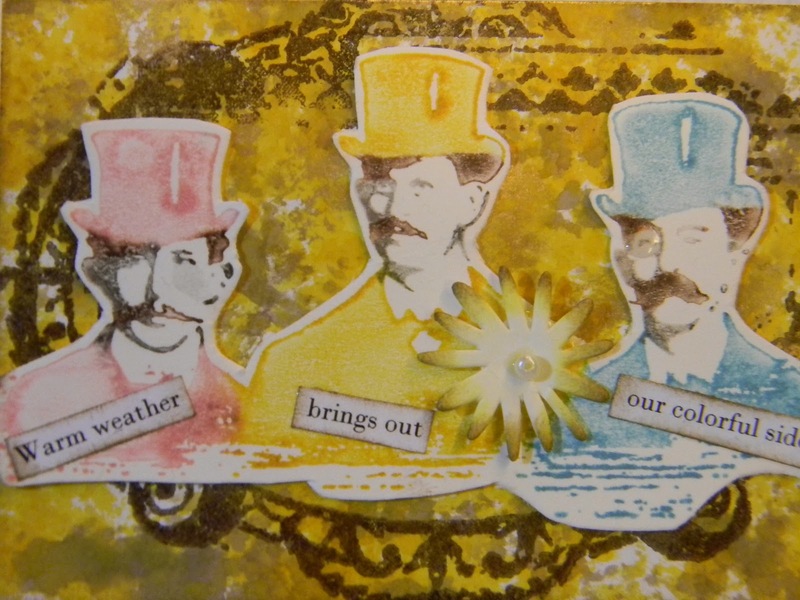 This month at the All Things Tim Yahoo Group the ATC swap challenge is "yellow". You will remember these brightly dressed cuties from my A Man's Home Is His Castle. They were my extras. I knew I would use them for something. Both your ATC are so delightful, I love them!! Wonderful ATCs, the dudes look great! Love both ATC's! Love how you've made jewelry with liquid pearls! Very nice detail! I'm sure that your 'Bestie' will love it.